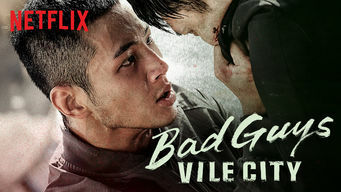 How to watch Bad Guys: Vile City: Season 1 (2018) on Netflix Portugal! Yes, Bad Guys: Vile City: Season 1 is now available on Portuguese Netflix. It arrived for online streaming on March 8, 2018. We'll keep checking Netflix Portugal for Bad Guys: Vile City: Season 1, and this page will be updated with any changes. Ordered to take down a villainous business leader who controls the city, a prosecutor gathers a team of men who may not be so clean themselves. In an ideal world, they repent; we forgive. Until then, it's an eye for an eye, a tooth for a tooth and evil for evil. Season 1 of Bad Guys: Vile City has 16 episodes. Because different Netflix countries have different availability for episodes, you'll need to check the episode listing below to see which are available in Portugal. Harboring a traumatic experience that led him to avoid crime scenes, prosecutor Noh Jin-pyeong begins his first day of work in the city of Seowon. 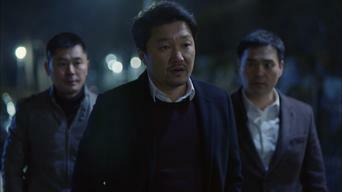 While tracking down their immediate suspect, Je-mun's men find an unexpected link between Jo Yeong-guk, their ultimate target, and the city's mayor. 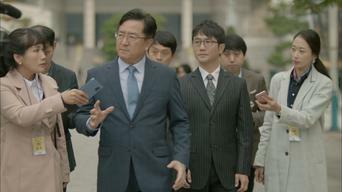 To find proof that Jo Yeong-guk committed bribery, Je-mun hatches out a plan that'll make it easier to locate where his dirty money is stored. Jin-pyeong, who's full of doubts after a secret meeting with deputy chief prosecutor Ban Jun-hyeok, is tasked with interrogating a key witness. 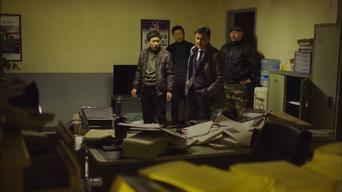 Despite the chief prosecutor's instructions, Je-mun orders a stop to the search and seizure, and tries to pursue a new route to catch the bad guys. When his team suffers casualties, Je-mun no longer has room for mercy and calls for Jo Yeong-guk's arrest -- no matter what it may cost. 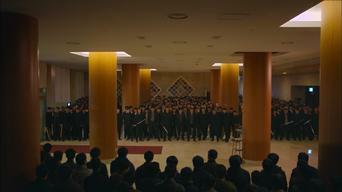 The day of the final hearing arrives, and Je-mun prepares to conclude Jo Yeong-guk's case, but an even worse enemy threatens to thwart his plan. Hoping to find answers regarding his late colleague's case, Jin-pyeong accepts Ban Jun-hyeok's offer and joins a special investigations team. To pay his sister's hospital bills, Gang-ju has no choice but to get help from a loan shark, who offers to cancel the debt in exchange for a "service." Heo Il-hu searches for the missing high school girl. 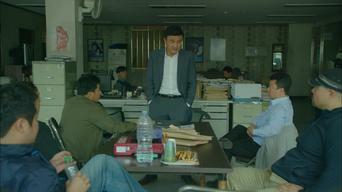 Je-mun secretly investigates the cases that Special Team Three supposedly solved already. Soon after Lee Myeong-deuk warns him to disband Special Team Three, Ban Jun-hyeok receives news that there's a problem within the team. Je-mun and his reunited team of men find out that the evidence regarding the Inbuk teen murder case may have been fabricated. 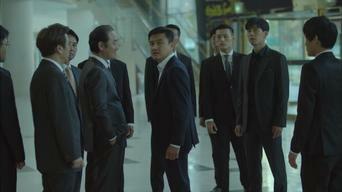 Detective Hwang from Special Team Three is in crunch time to catch the wanted men. Likewise, Je-mun's men prepare to take on their adversaries. Not happy with how things turned out for Jo Yeong-guk, Je-mun tries to get Ha Sang-mo's testimony himself, but a shocking truth awaits. 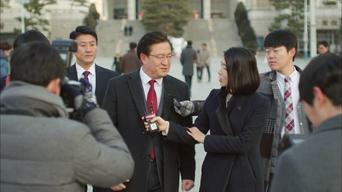 Je-mun quickly closes in on Jo Yeong-guk. Meanwhile, Mayor Bae Sang-do's sister plans to do whatever she can to get her brother re-elected. Mayor Bae's niece devises a foolproof political scheme for her uncle. Je-mun vows to get revenge -- for his comrades, and for all the people of Seowon.